Do you know what a mural is? Do you know what a vestibule is? You will if you look them up in the Picture Dictionary ! Check out the new picture of Easter eggs (pysanky) in the Picture Dictionary. These masterpieces were done by a former ACS student, Mr. Charles Patulak, ACS '73. Hey, even we goof up once in a while! We thought there were nine parables depicted in stained glass in the church. We found another one. Guess where? In the baby's crying room! It's called, "The Great Supper." Look it up under Parables and you can read it. It's a good one. Jacqueline Somogyi, ACS '05 – a junior at Mother Seton Regional HS, took the SAT's as a sophomore last June and scored 2300 out of a possible 2400. Jacqueline traveled to Paris, France this past summer to take French language and literature courses. Paul Rosato, ACS '06 – a freshman at Cardinal McCarrick High School is part of the Music Ministry. Alexander Mosko and Rebecca Castro ACS '04, and Marissa Castro, ACS class of '08 – have prominent parts in "The Diary of Anne Frank" with the St. Joseph High School Theatre Company (SJHSTC), Metuchen, NJ. 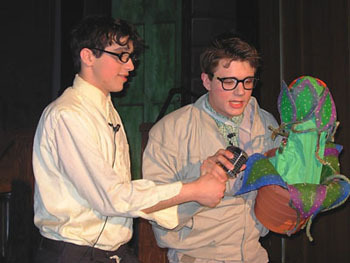 The show dates are November 8-11, 2007. More details on this soon! Alex was recently inducted into the St. Joseph High School French and Art National Honor Societies (NHS) and is a soloist in the Liturgical Choir there. He was recently invited to be an apprentice in the professional Ukrainian Dance Company, "Syzokryli" from New York City. ACS builds confident, happy, and successful children! If you know of any ACS graduates excelling in high school, please write to the webmaster on the Contact Us page. Note their name, achievement, date of graduation from ACS, the high school that they are attending, and any other information that may be of interest. 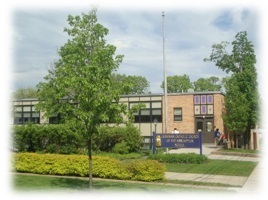 Update October 8, 2007 – "The playground coating is postponed until spring," says Mr. Baralecki. "The suppliers could not get us the coating in time, the weather is changing, and leaves are beginning to fall. No problem, the cracks are all filled and we'll complete the job in the spring," he added. 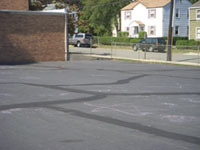 October 2, 2007 – Weeds and debris have been removed and the cracks have been filled; now the playground is ready to be coated. "Weather permitting, we plan to coat the entire playground on Saturday, October 6," says Mr. Peter Baralecki, Holy Name Society (HNS) vice president and project chairman. Mr. Charles Boyko, co-chairman of the project offered, "Not only will the newly-coated playground have a nice, smooth jet-black appearance, but if a child falls, any scrape on the knee will be a bit less severe." 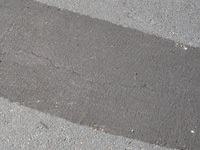 The coating will also reduce future cracking and help the asphalt pavement to last longer according to Mr. Boyko. 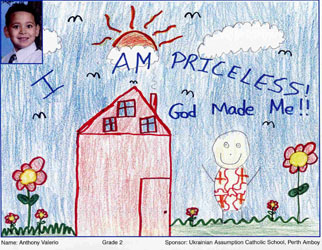 The men of the Assumption parish Holy Name Society (HNS) do many good works around the church and school. Mr. Baralecki added in closing,"Several HNS members who attended ACS all remember how much fun we had playing here!" Thank you to the Assumption Church HNS! Mrs. Virginia Di Stefano and Mrs. Helen Mosko recently passed into eternity. Mrs. Di Stefano volunteered for many years as our school librarian and was very active in the PTA. Mrs. Mosko served as PTA president, taught 3rd grade at ACS from 1971-1974, and also volunteered as a librarian. In Ukrainian it is customary to say, "eternal memory." ACS remembers and prays for its benefactors! A new interactive calendar and all of Principal Szpyhulsky's newsletters are now online 24/7. Although handy for parents, these may not excite our students much – but at least they'll be in a bit less trouble if they lose the handouts! Have trouble remembering certain prayers? No problem, look under Spiritual – Catholic Prayers to practice them. 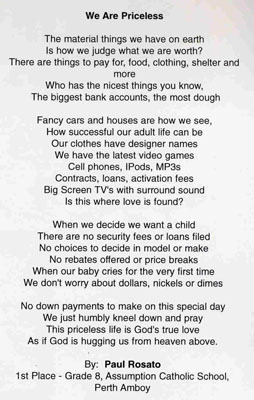 Try reading the 23rd Psalm to yourself. In it, God is compared to a shepherd; he looks after his people in the same way that a shepherd watches over his sheep. Check out the new photos under the Links. The students' favorite photo has got to be the one on the School Closing and Weather page! Check out tomorrow's forecast for Perth Amboy while you are at it. Oh BTW, do you know what a "fresco" is? You will if you find it in the Picture Dictionary. Congratulations to our talented alumni! Two of our alumni recently performed in the lead roles in their respective high school musicals. These demanding roles required poise, confidence, and a great deal of practice. 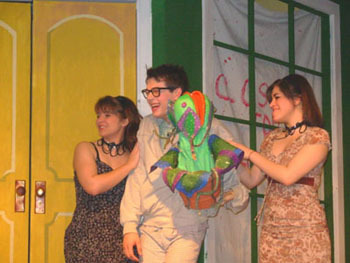 High school junior Alexander Mosko ACS ’04 played the lead role of “Seymour” in the St. Joseph High School Theater Company production of “Little Shop of Horrors.” Two former students, juniors Rebecca Castro ACS ’04 and Joan Kuchie also had major singing and dancing roles. And to think, they got their start in our Chimetteers and Glee Club! Joan (left) and Rebecca (right) as Seymour mugs for the camera! In anticipation of the 100 year jubilee, our parish church has been undergoing major renovations. 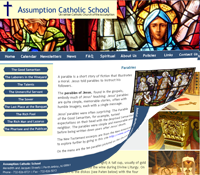 “We are in the middle of a multi-year plan to improve the church’s appearance and upkeep. We expect the projects to be finished by 2008 for our 100 year jubilee,” said Father Roman. The church brickwork has been cleaned to its original beautiful appearance and protector windows have been installed for the beautiful large stained glass windows. 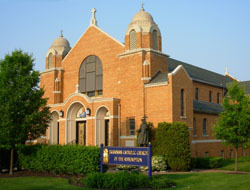 In addition, new low-noise fluorescent lighting was installed, new outdoor signs were made for all the parish buildings, and the basement was waterproofed. A new confessional has been completed. During July and August, the church interior was painted and artwork on the walls and ceiling of the nave and sanctuary were painstakingly restored. The students will enjoy a beautifully restored church interior!